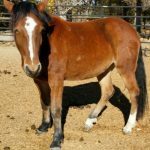 Sponsor, Foster or Adopt Charity! 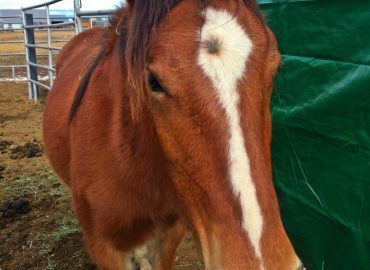 On Aug. 27th of 2014, Hope, one of two pregnant mustang mares saved from the slaughter truck gave birth to a strong and healthy little filly. 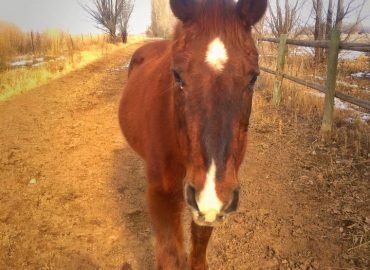 She immediately captured the hearts of everyone with her spitfire personality and fear of nothing. 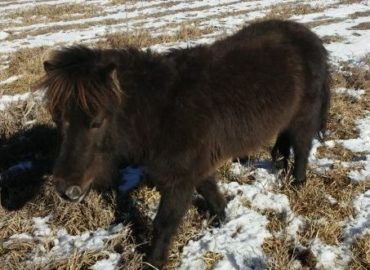 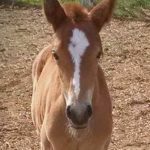 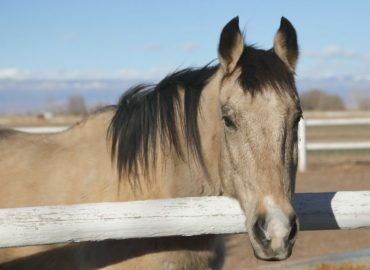 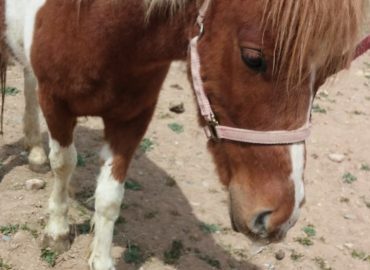 A naming contest was held via Facebook for this little mustang filly and from this she was dubbed Charity. 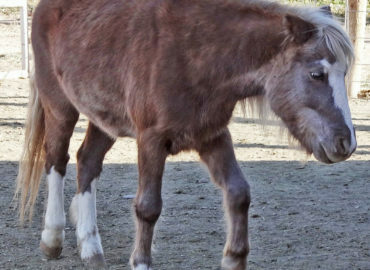 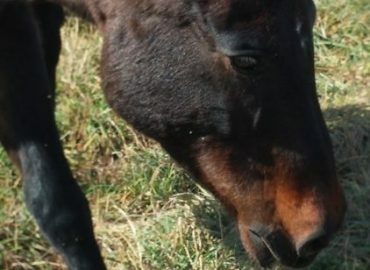 Charity, by definition means "the voluntary giving of help to those in need" and it was because of the charity of so many kind-hearted people that this little filly was able to come into the world. 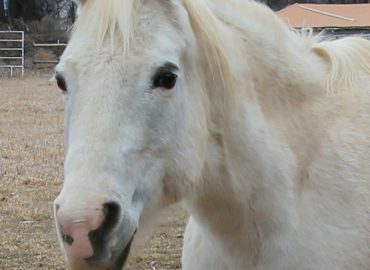 She is truly a symbol of what animal rescue stands for. 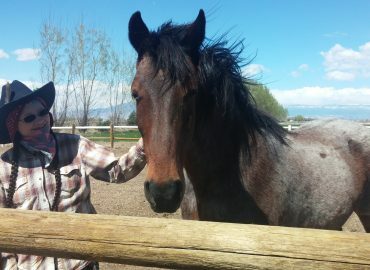 Charity is a testament to the kind of environment we seek to foster here at End of the Trail. 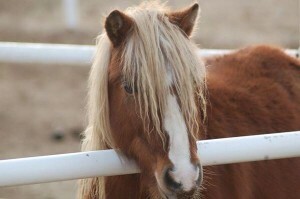 She has never know the abuse, neglect, and cruelty that brings so many of our residence to us. 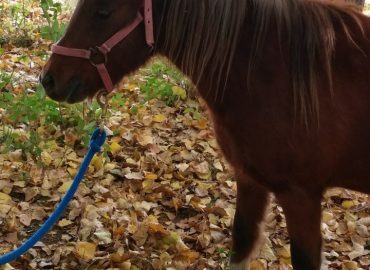 This little girl was raised among loving staff and volunteers who made every interaction she had with people a positive one. 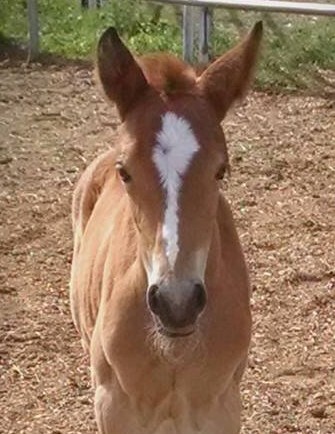 And this has rewarded us with a loving, confident, and curious little filly. 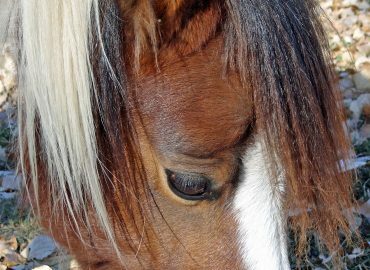 She is afraid of nothing and no one and loves everyone she meets. 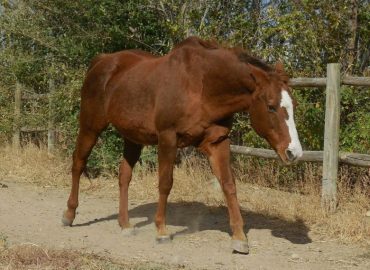 As babies tend to do Charity grew fast and has quickly caught up top her mother in height. 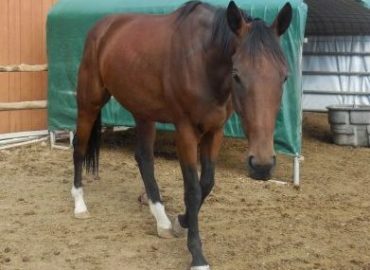 She is halters, leads, picks up her feet, and is joy to handle. 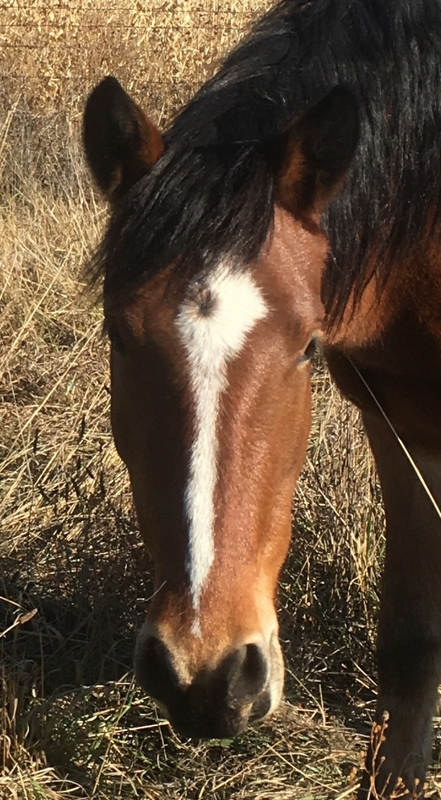 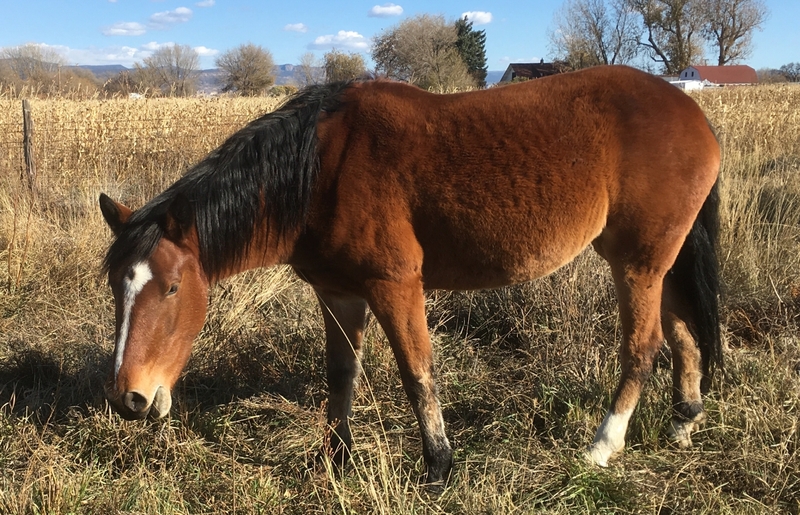 The little girl is currently learning her ground manners and how to lunge, back, disengage and accept blanket, saddles and anything else on her back so that were she is old enough she be saddle trained and find the perfect home. 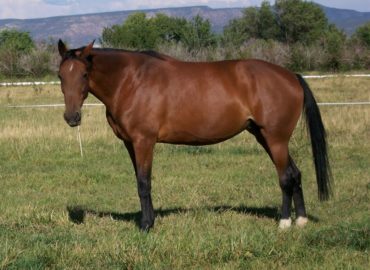 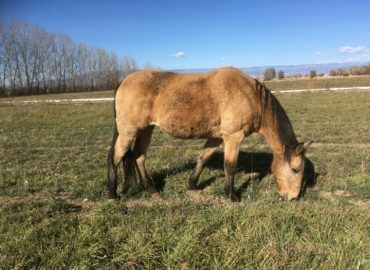 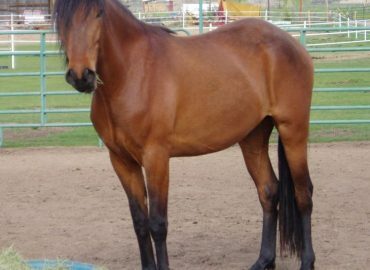 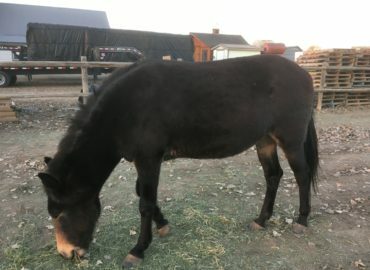 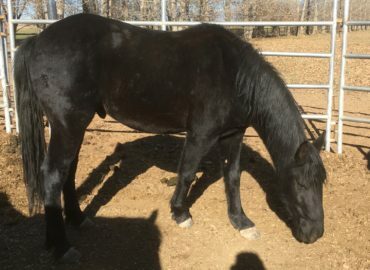 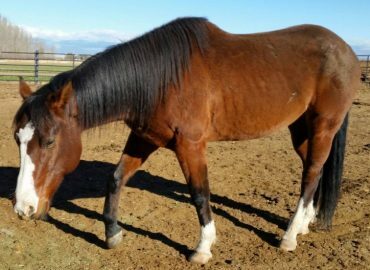 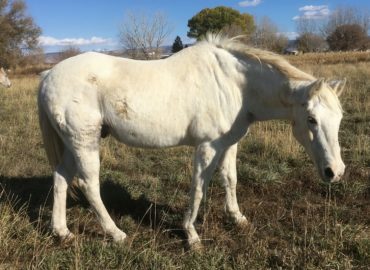 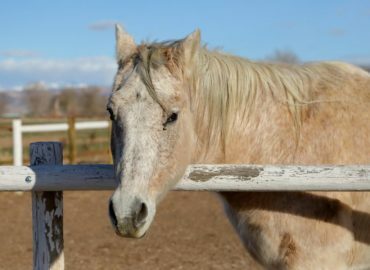 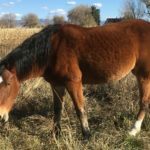 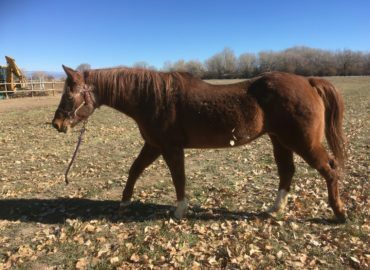 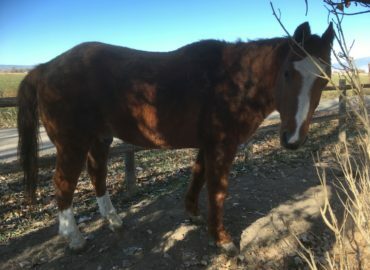 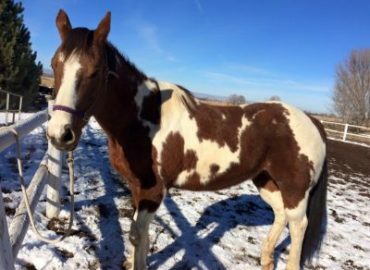 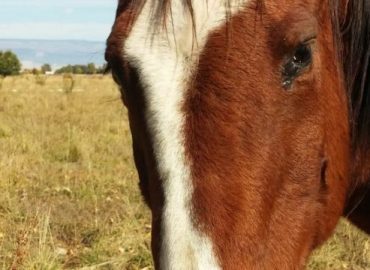 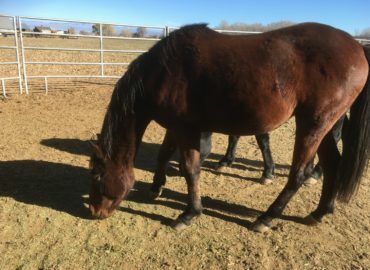 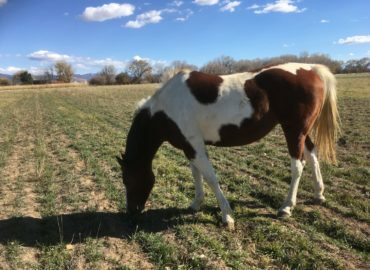 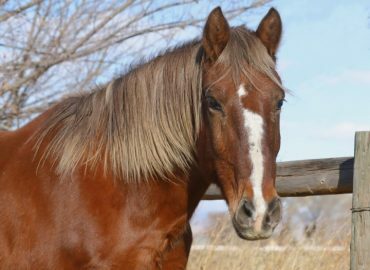 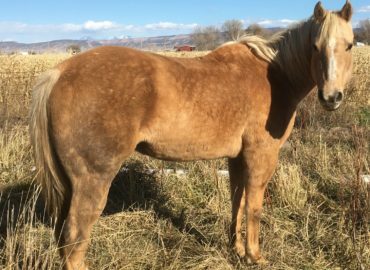 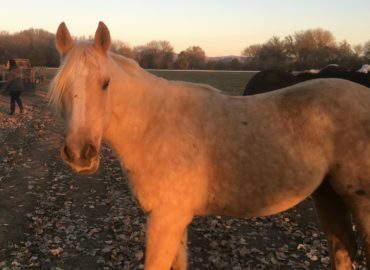 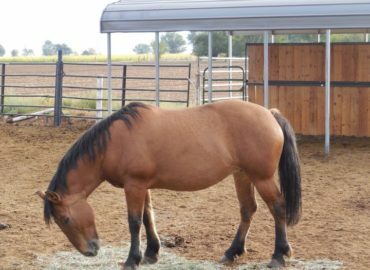 Charity will not be a very large horse when she matures but she will be well built and sure footed as is typical of mustangs. 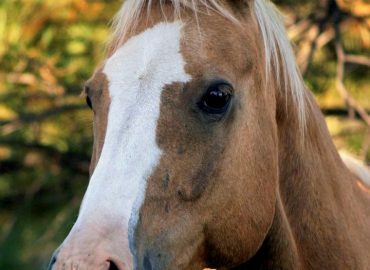 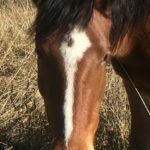 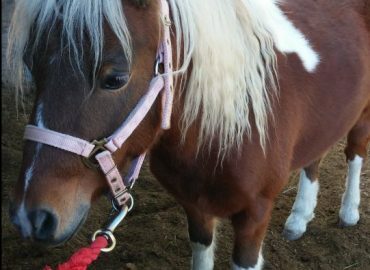 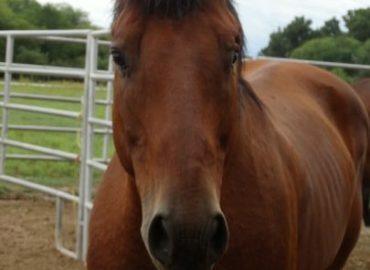 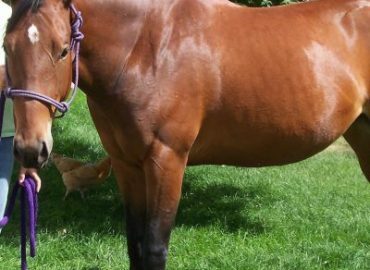 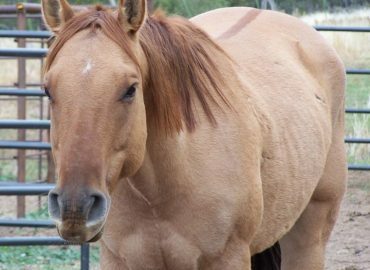 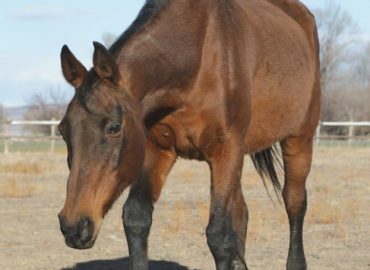 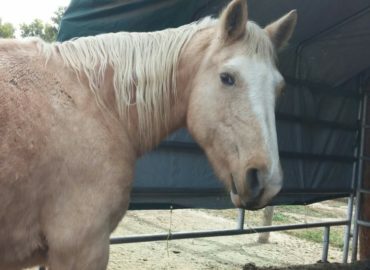 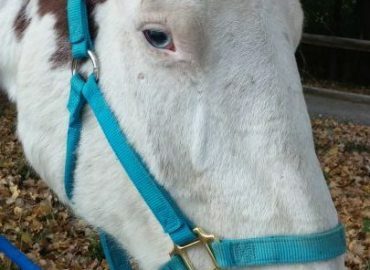 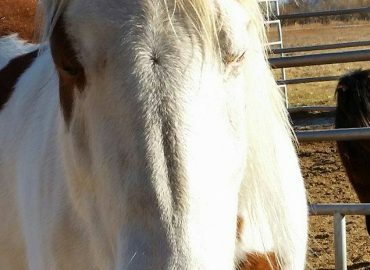 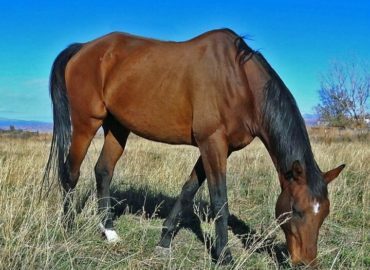 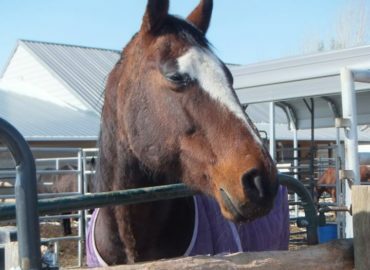 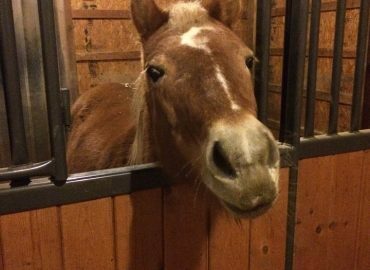 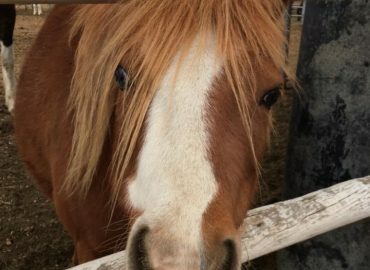 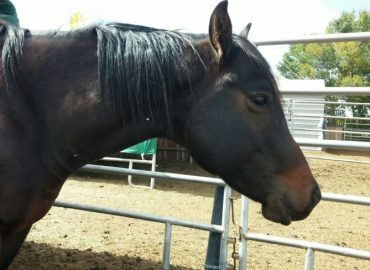 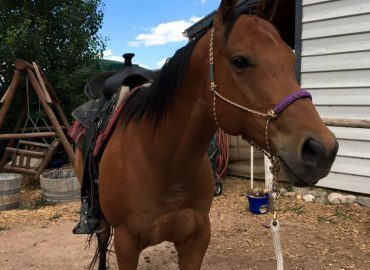 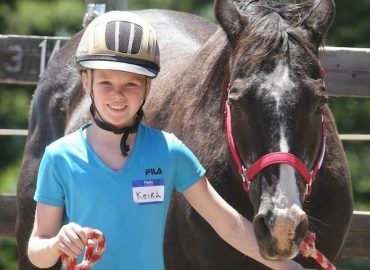 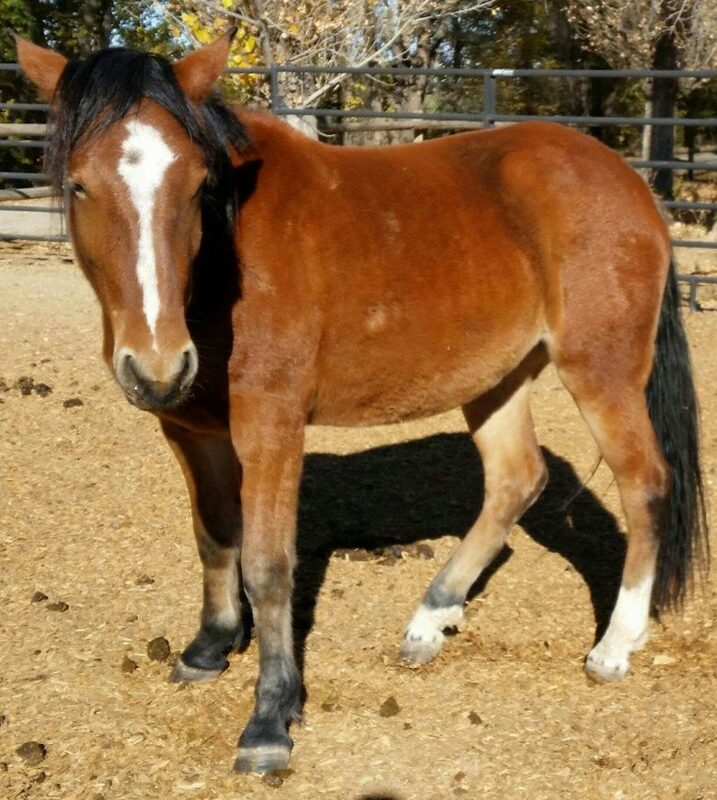 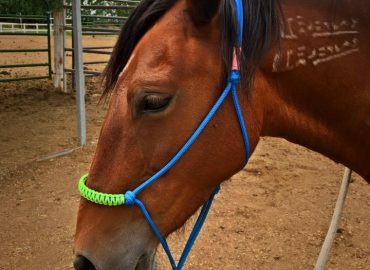 Charity is currently up for adoption to someone with experience training young horses. 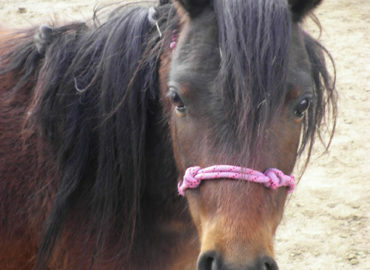 Once her training is complete she will be adoptable under our regular guidelines.